What is the Dow Theory? 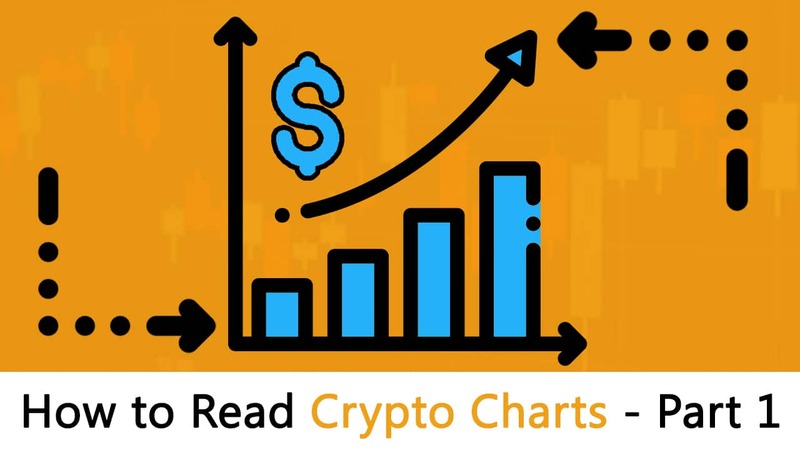 Learning how to read crypto charts is an essential skill if you want to get into trading. Having said that, learning technical analysis and all the jargon that goes along with it can be pretty intimidating for beginners. This is why we have written this guide to ease your journey. NOTE: Bullish movement is an upward and positive movement and bearish movement is a downward or negative movement. Bulls/buyers want to take the market price up by buying the crypto and bears/sellers take the market price below by selling crypto. The market takes everything into consideration during its pricing. All existing, prior, and upcoming details have already been integrated into current asset prices. When it comes to crypto the things that are considered are multiple variables like current, past, and future demands and any sort of regulations that may impact the crypto market. Price movements are not exactly random. They follow trends more often than not and it may either be long or short-term. Market analysts are focussed on the price of a coin rather than every single variable that produces a movement in its price. History tends to get repeated. Because of this reason, it is possible to predict market behavior as traders react the same way when presented with a particular kind of pattern. The primary movement is the “main movement” which is a major trend and may last from less than a year to several years. It can be bullish or bearish. Then we have the medium swing which is a secondary or intermediate reaction and may last from ten days to three months. It generally retraces from 33% to 66% of the primary price change since the previous medium swing or start of the main movement. Finally, we have the short swing or minor movement varies according to market speculation from hours to a month or more. These three movements can happen simultaneously, for example, a daily minor movement in a bearish secondary reaction in a bullish primary movement. Accumulation phase: This is the period when knowledgable investors start buying or selling the asset against the general perception of the market. During this phase of the market, the price of the asset doesn’t change much because these knowledgable investors are in the minority. Absorption (or public participation) phase: Eventually the market catches on to these “intelligent investors” and they follow their trend. More and more people follow these trends until rampant speculation begins. Distribution phase: After huge speculation, because of the limited supply of the asset, the price begins to retrace as the knowledgable investors begin to distribute their holdings to the market. 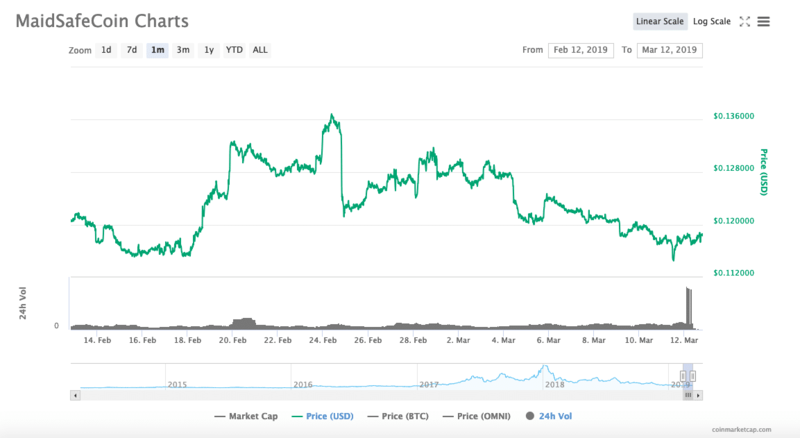 As a result of it the prices start falling along with the volume. The stock market incorporates new information as soon as it becomes available. Once this news is released, the price of the asset changes to reflect this new information. The price reflects the sum of all the hopes, fears, and expectations of all the market participants. Factors such as interest rate movements, earning expectations, revenue projections, major elections, product initiatives, etc. are all integrated into the market price. To understand how this works, consider this example. 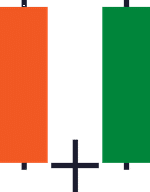 There is a company A and a company B. Suppose A is a handicrafts company and B is a transportation company. A uses B’s service to transport their products. Now, if A gets more business, then B will get more business as well since A will need B to transport their goods and vice-versa. So, if an investor is interested in investing in company A, they need to look at the performance of company B. These two averages should be moving in the same direction. If these two averages are diverging, then it is a sign that market trend may be reversing soon. During an uptrend, volume should increase with the increase in price. During a downtrend, volume decreases with a decrease in price. This tenet is a lot like Newton’s first law of motion i.e. an object in motion tends to remain in motion unless acted upon by an external force. Similarly, the Dow believes that the market remains in trend despite “market noise.” Determining a reversal in trend is not easy. Now that we know the six tenets of the Dow Theory let’s look into what technical analysis is. Technical analysis is a tool, or method, used to predict the probable future price movement of a currency pair, cryptocurrency pair, or a stock. It can be a creative and dynamic which helps you gain a very deep perspective into the market. Don’t worry, technical analysis isn’t as complicated or scary as that! So, let’s get started. Intra-day traders: These are the traders who open and close their position within a single day. This is why these traders prefer short timeframes like hourly, 15-min, or even 5-min charts. Long-term holders: Long-term holders may hold their position for weeks to months and years. These holders find more value in using hourly, 4-hour, daily, or even weekly charts. A 15-min chart may be a very significant indicator for an intra-day trader but it may not be that important for a long-term holder. 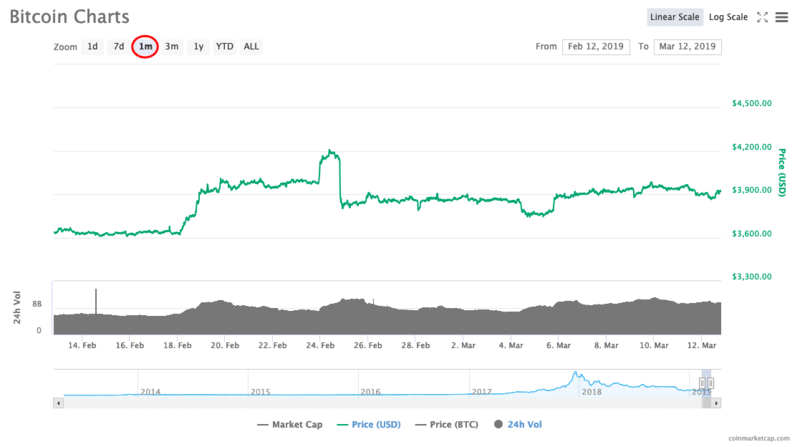 You can check the market cap of the top 100 cryptocurrencies on coinmarketcap.com. As you can see, Bitcoin’s value has been pretty stable for the last one month. Now compare that with MaidSafeCoin. As you can see, compared to Bitcoin, MaidSafeCoin is a lot more volatile. The graph above is the daily candlestick chart for BTC/USDT in Binance. What we are going to do now is to help you make sense out of those pretty patterns. 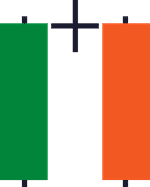 The first thing you will notice is the red and green candlesticks lying one after another. Each candle shows you the price movement of the asset during a specific time interval. So, what does each of these candlesticks represent? Along with the closing price, each candle shows the opening price, the lowest, and highest price of the given time-period as well as the closing price. As you can also see, there are to kinds of candlesticks, the green candle, and the red candle. Every candle has a body and a couple of shadows that are sticking out of it. The body shows you the difference between the opening and closing price. The shadows show you how high or how low have these opening and closing prices have gone respectively. 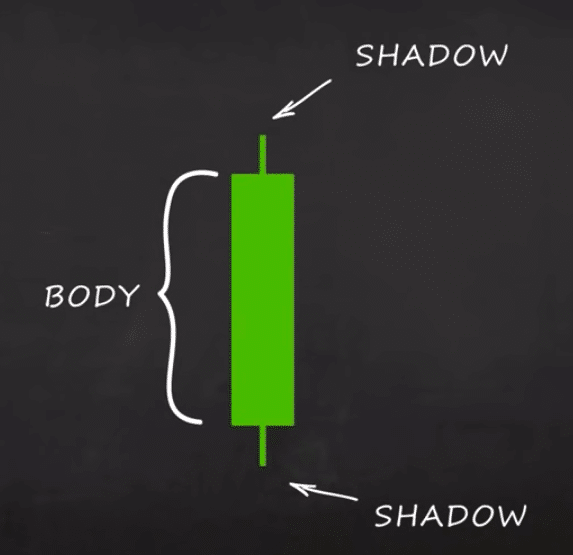 In a green candle, the upper shadow is the close price while the lower shadow in the open price and vice-versa for red candlesticks. The beauty of these candlesticks is that it clearly shows you exactly where the market turned and helps you identify different patterns which may help you predict how the market will act. Having said that, let’s look at three bullish and bearish reversal patterns on our candlestick graph. 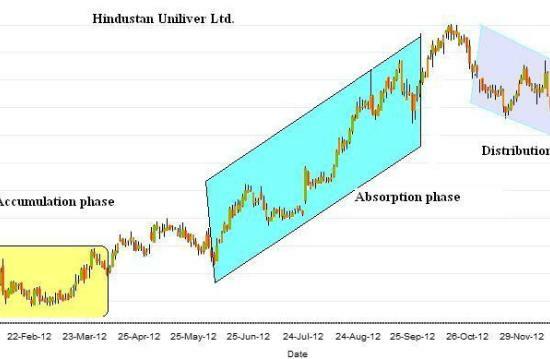 A hammer is a bullish reversal pattern that forms after a decline in price. So, what does it exactly mean? As the market opened, the sellers took control of it and decreased the price. However, at the end of the selling period, buying momentum came back in and pushed the price higher. This momentum was so strong that the closing price finished above the opening price. The hammer signifies a bullish reversal and shows that the buyers are coming in strong into the market. The first candle is bearish while the second candle is bullish. The body of the second candle completely overwhelms and covers the first candle. On the bearish candle, the sellers are in control. On the second candle, the bulls hit back with a strong rally and completely overwhelmed the bears. The first candle is bearish in nature. The second candle has an extremely small range. The third candle exhibits an aggressive upwards momentum. The sellers are in control as the price closes lower in the first candle. The second candle is an intriguing one as the buyers and sellers pretty much cancel each other out here. In the third candle, the buyers completely take over and close the price higher. The morning star pattern tells you that the sellers have been exhausted after fighting with the buyers and the market is now bullish. Now let’s look at three bearish reversal patterns. All these patterns are the reverse of the three bullish reversal patterns. Little to no lower shadow. Price closes at the bottom ¼ of the range. Upper shadow is about 2 or 3 times the length of the body. The buyers took control as the market opened and pushed the price high. At the close, there was huge selling pressure from the bears. The selling momentum was so strong that it overwhelmed the bulls. In short, a Shooting Star signifies a bearish reversal and shows that the sellers are coming in strong into the market. A Bearish Engulfing Pattern is a 2-candle bearish reversal candlestick pattern. So, how do you recognize this pattern? The first candle is bullish in nature. The second candle is bearish and large enough to overwhelm the first candle. The buyers are in control in the first candle. However, the sellers take over and the selling momentum is so strong that the market closes lower than the previous candle’s low. The first candle has a bullish close. The second candle has a small range. The third candle has an aggressive bearish close. What does this pattern mean? The first candle shows that the buyers have taken control and closed the price higher. The second candle is a standoff between the bulls and bears. The third candle shows that bullish momentum has been exhausted and the sellers have taken over. The Evening Star tells you the buyers are exhausted and the sellers are momentarily in control. Relative Strength Index or RSI measures the strength and speed of a market’s price movement by comparing the current price of a cryptocurrency to its past performance. It works by comparing the magnitude of recent gains to recent losses to determine whether crypto has been overbought or oversold. In the equation above, RS is the ratio between the average of the days the coin was up to the average of the days the coin was down. Now, thankfully you don’t need to bother about calculating anything, because the exchange will do it for you. So, let’s take a look into how the RSI graph looks like. We will check the BTC/USDT chart from binance. 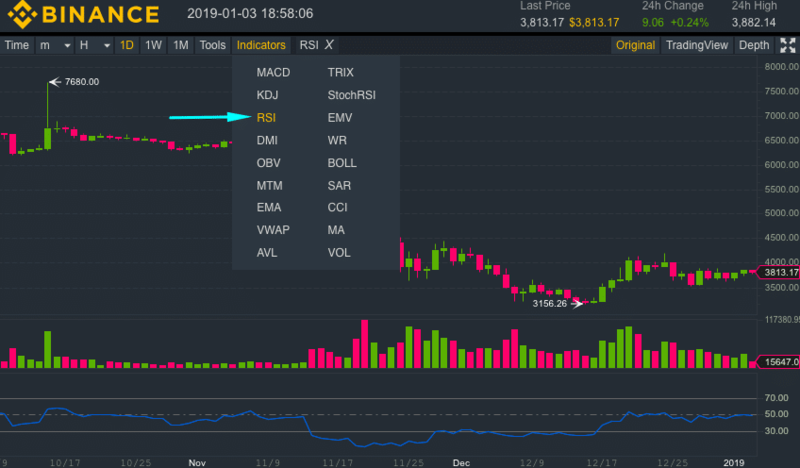 We will choose “RSI” from the Indicators menu. When you do so, the blue graph will appear below the candlestick chart. Keep in mind, we are checking the daily RSI. Ok, so there are a few things to keep in mind when we are checking the RSI graph. When the RSI for a particular coin approaches 70 or even crosses 70, then it is considered to be “overbought” aka the crypto in question is getting overvalued, so it may go down. On the other hand, if RSI approaches 30, then the crypto is undervalued and will probably go up in value soon. While RSI is a pretty useful indicator, the truth is that it isn’t immune to false buy and false sell signal which can be created by either a large rally or a significant drop in the price of the crypto. This is why RSI should be a tool that you use along with other indicators to predict the future price of a coin. Around 14th November, the RSI of BTC/USDT went below 30, into the undersold area. However, since the market was down, the RSI finally went up on November end, rallied around 30 for a bit before finally going up around 17th December. Along with RSI, you should also look into moving average and Bollinger bands. You can learn more here. In technical analysis, support and resistance are predetermined levels of the price of an asset at which the tends to reverse its trend. These levels are denoted by multiple touches of price without a breakthrough of the level. Traders often buy at support and sell at resistance. In order to see how support and resistance levels work, let’s look at the daily BTC/USD chart from Bitfinex. A support level is where the price of an asset tends to stop falling. Check out the chart below. Upon close examination, you will see that we have chosen the $3,800 line as a support level. The reason why we have chosen this is that at three distinct points (as highlighted by the red box), the market came down to that level and then picked itself back up. This can happen due to multiple reasons which we will discuss later. However, to just give you a brief idea of how the dynamics works, the sellers (or bears) sell off the asset and bring the price down. The moment the price comes down to a certain level, in this case, $3,800 and the buyers storm back in and “bounce” the price of the asset off this level. The price of BTC/USD broke past the first support level (red line) and then found a second support level (pink line) which it used to bounce off of. The red line now becomes a resistance level. A resistance level is a point at which the price of the asset stops rising. Check out the chart below. Resistance is opposite to the support level. The BTC/USD daily chart found resistance at $4,250. As you can see, the chart meets the level at four distinct points and bounces down. To show you how it works, the buyers buy the asset until the price of the asset increases. However, once it reaches $4,250, the sellers sell the asset. Here BTC/USD broke past $7,000 resistance (red line) and then reached second resistance at $7,800. Traders who are going long and waiting for the price to rise. Traders who are going short and waiting for the price to fall. Traders who don’t know which way to go. The traders who are going long are really happy with the state of the market. They may also try to add even more to their position if the price drops doing to the same support level. The traders who are going short may second-guess their position and try to buy in more to breakeven as the price reaches the support level again. The traders who didn’t enter the market previously may want to wait for the price to get back down to the support level to enter the market. So, this support line becomes a great level where all the three kinds of traders can buy in. The traders who go long will wait for the price to come up to the original support level and sell their assets there to limit losses. This plays in the hands of the short traders who will want to add more to their position. Finally, traders who haven’t entered the market yet will decide to go short. So, this support line becomes a great level where all the three kinds of traders can sell at. The biggest factor behind price movements are emotions like fear, greed, optimism, and pessimism. You can think of a price chart as a graphical representation. When the price falls down to the support level, greed/optimism kicks in and the long traders buy the asset to add to their position. Meanwhile, the short traders will buy in more to cover for losses. Now, as more and more traders buy in, herd mentality kicks and the price raises up from the support line. Similarly, when the price goes up, fear/pessimism kicks in from the traders and they sell off their assets to make sure they don’t incur any losses. The reason why emotional price levels like support and resistance are so significant is that they attract a lot of attention and create anticipation. This attention attracts a large number of volume and traders. Till now we have discussed market cap, candlesticks, and relative strength index. In the second part, we are going to talk about trending lines, moving averages, and Bollinger bands. Don’t worry, it’s not as scary as it sounds!